After a series of deaths at the hospital some of the staff become very superstitious. Izzie worries about Denny and gets confronted by Alex. A patient with OCD drives Cristina crazy. 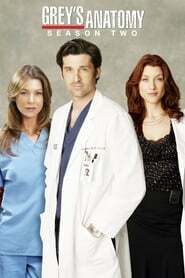 Derek and Addison discuss their relationships with Meredith. Richard treats a friend from 17 years ago who reveals a secret about a dark time in his past that involves Ellis. George gets an earful about the women he’s not talking to. Burke and Cristina argue about kicking George out.